The light and love of your soul is astonishing. But if you're like most people you've been unable to fully access your soul light due to layers of beliefs, limiting filters, and dense energy accumulated throughout the natural course of your life. What if you were able to easily let go of these filters and blockages? This powerful new meditation with Archangel Metatron will purify your mind, body and spirit to allow your brilliant inner soul light to shine through. All you have to do is relax and listen! With full access to your soul light your highest path will be illuminated. Your vibration will naturally elevate and you will be able to effortlessly align with inner peace, purpose, joy, and fulfillment. 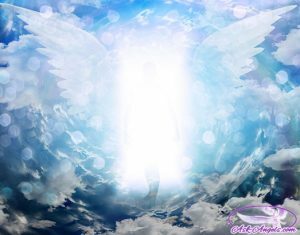 When your full soul light is shining through you will not be able to help but to create a positive energetic overflow which will positively impact your family, friends, and which will overflow throughout everything. So how can you access your soul light? Simply relax and listen as Archangel Metatron effortlessly cleanses and elevates your energy so more of your soul light can naturally shine through into the present moment. You've always had this incredible light within… And now you have powerful support in fully expressing it into physical form when you simply listen to this powerful .mp3 guided angel meditation. Click the button below to purchase and you can be listening in just a minute. YOU ROCK MY SISTER ANGEL! !!! 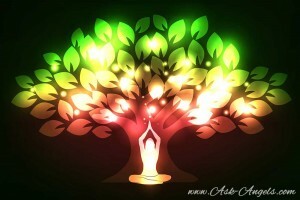 Hi Melanie I’m so grateful for your help with the meditation and blogs on the ask angels site. Thanks so much. You are doing a great job, we have a lot of work to do to change peoples mindsets in order for healing to take place. There is so much negativity in our lives. The angels helped my family through a lot of difficulties but the time we were told we must imploy the angels ourself cos God already commanded them consurning us according to the scriptures so all we need to do is ask them for help we cant fight all thees problems all by ourself we have spiritual and physical warfare, they protect us against harm. Imagine a sisters home being broken into and the angel kept him tight in a window curtain before he could escape, the police came they couldn’t release him off course they couldn’t see that he was held by an angel the only time he was released was when the sister came home from work. Much love and blessings Patricia. Working on healing and abundance in all areas of my life.